Heeft u een vraag voor Le Luxe Residence? Gerenoveerd in 2013, garandeert het Le Luxe Residence gasten een plezierig verblijf in Udon Thani voor zaken of plezier. Het hotel ligt 3.7 km van het stadscentrum en de belangrijkste faciliteiten zijn dus goed bereikbaar. Dankzij de praktische locatie liggen alle belangrijke trekpleisters in de buurt van het hotel. De faciliteiten en diensten, geboden door het Le Luxe Residence, garanderen een plezierig verblijf voor gasten. Enkele voorbeelden van faciliteiten die dit hotel biedt zijn gratis wi-fi in alle kamers, supermarkt, dagelijkse schoonmaak, taxi service, rolstoelvriendelijk. Het Le Luxe Residence beschikt over 54 kamers, allemaal smaakvol ingericht voor optimaal comfort, met voorzieningen als plasma tv, internet (draadloos), draadloos internet (gratis), rookvrije kamers, airconditioning. Het hotel biedt vele unieke recreatiemogelijkheden zoals kinderspeeltuin, tuin. Met een ideale locatie en bijpassende faciliteiten, is het Le Luxe Residence voor veel gasten precies wat zij zoeken. really nice clean little hotel, i am now staying in UD hotel in centre of udon but it is dirty,noisy and not as good as le luxe . 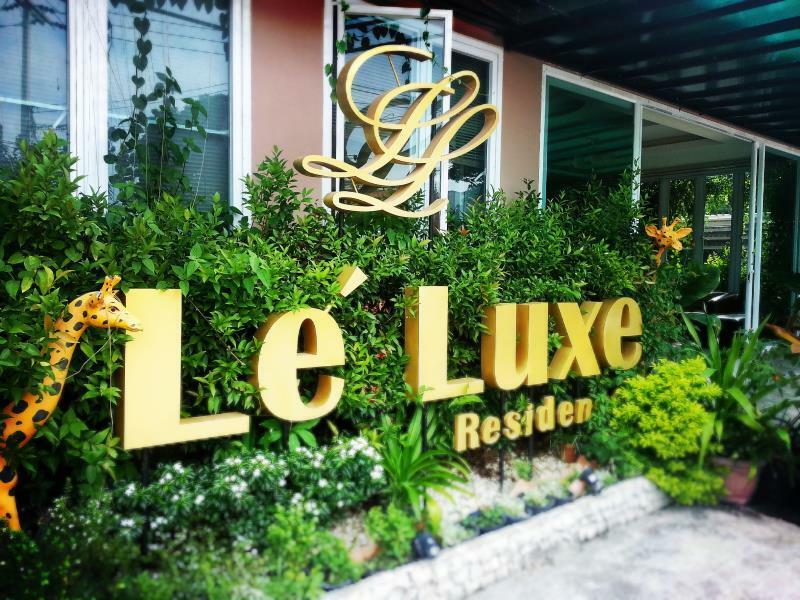 LE LUX is best hotel i have ever stayed in udon thani, very very quiet, clean with friendly staff. just past mcdonalds about 5 minute walk to city centre. i highly reccommend this place. While the hotel is a little tucked away, I had my own vehicle and there are signs leading the way. So, easy to find and car parking available. Friendly staff. Nice facilities. Wi-Fi worked fairly well. Rooms are spacious. I hope to see a simple breakfast offered in the future. Nice hotel. I have not stayed in other hotels in Udon Thani, so I can't compare the value, but I found it to be a great value. Located close to a park and about a 20min walk from the night market. If they start offering even a simple breakfast with fruit and eggs that would make it fantastic. Friendly staff and good facilities. I haven't stayed at a hotel in Udon Thani before, so I can't compare this hotel with similarly priced hotels, but I thought the place was a great value. While located a bit far from most places, there's a nice park a few minute walk away. The night market is about a 20 min walk from the hotel. Check-in/check-out process is very quick, staff is friendly, and they have enough drinks, toiletries, and microwavable meals (and a microwave) in the lobby to count as a mini-mart. No breakfast, but it seems they have the facilities to provide one, so maybe they will in the future. Otherwise, you'll have to walk a few minutes to a main road with many food stalls and restaurants. Room was clean. Nice facilities. Wi-Fi worked pretty well. They almost have the shower separated from the rest of the bathroom - seems like they should have taken the extra step to separate it more so water doesn't run out to the rest of the bathroom. We were a family with 2 kids and booked the room with a double bed and single bed. The location is a bit away from the city. The room was clean and big enough for 2 people with 2 kids. Internet was working. TV with international stations. In the lobby you can get free coffee in the morning. Around are shops for coffee and breakfast. There is enough space for parking the car. I can recommend this accomondation. 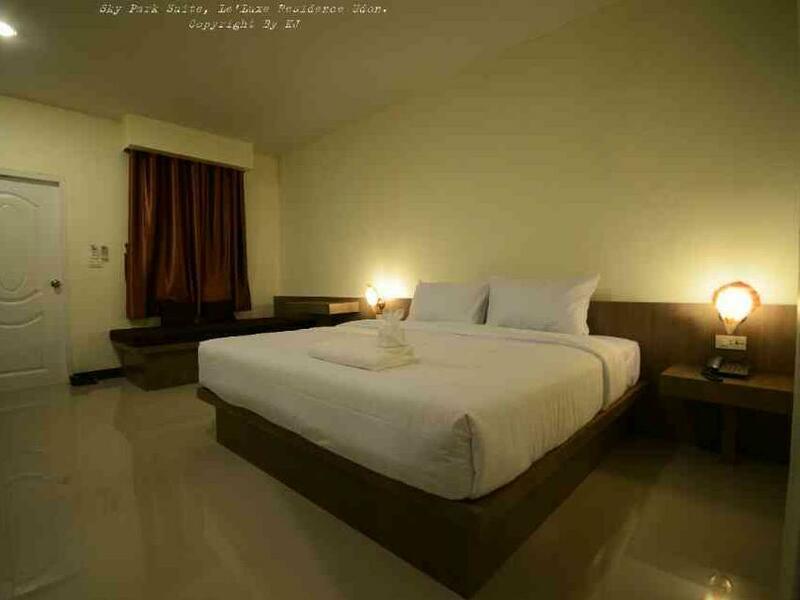 Room is new, price is quite good. I think there was a water pump over my unit so it kept making a mild noise. Other than that I like the place. But walking from the central plaza is not easy. You need tuktuk or taxi. Down a narrow street, difficult to access of main road. You need transport although I noticed a sol talk drive up there. No staff member smiled once. Front guy on reception never even looked at me once not once, busy on cell phone , the other one asleep at 12.30. In the day. No directions to room given , no lift and I walked up 2 flights of stairs went into wrong room and he phoned up after watching on video camera, he even saw me go up the stairs in my he wrong direction and said nothing..Lazy..I'd fire him instantly! It's a disgrace and reflects poorly on Thailands over inflated opinion as a holiday destination as many tourist continue to exit Thailand in high numbers seeking other better south East Asian alternatives. This lack of hospitality is affecting Thailands bread and butter as many have taken tourism for granted by overcharging or inflating Varangian prices compared to what the locals pay. They are their own worse enemy and don't appreciate the concept of repeat business. So getting back to the review of this hotel..there is Absolutely NO customer service at the Le Luxe hotel ZERO attention to customer needs.. Yet a clean place, great bed, powerful shower, quiet and cool room. Ok TV channels, tile floor, free water blah blah blah, I can rave on but won't. I thought about giving it 1 star but on reflection Maybe in reality it's worth half a star! The hotel is clean, comfortable and quiet. For 450 baht a night it is excellent value for money. The staff are friendly and helpful. My room was kept clean, and it had a very comfortable bed, good air con and tv. The hotel is a little far from the shopping and night life area, but for 10 baht you can catch the songtel (local taxi bus), that passes by the hotel about every 10 minutes in the day time. And at night time you can catch the tutu for 60 baht. It was a good stay. Couldn't have been nicer. The staff here are super in every way. A special note for the efficiency of the staff supervisor who has charge of cleaning the rooms. The hotel is fortunate to have her. She takes charge of neatness. The hotel is perfect. The room is big, comfortable and nice. The staff helps you -you need some Thai, since they speak no English-, and everything is perfect. But the location is crappy. If you go by car, perfect choice! But traveling by bus or taxi... search something else on the city center. We enjoyed our stay here. It's not close to much but the front desk will call a tuk tuk for you. Bring your snacks. They sell some good items in the lobby and McDonalds delivers but restaurants aren't really within walking distance. Staff is super, hotel is clean. Enjoyed our stay.